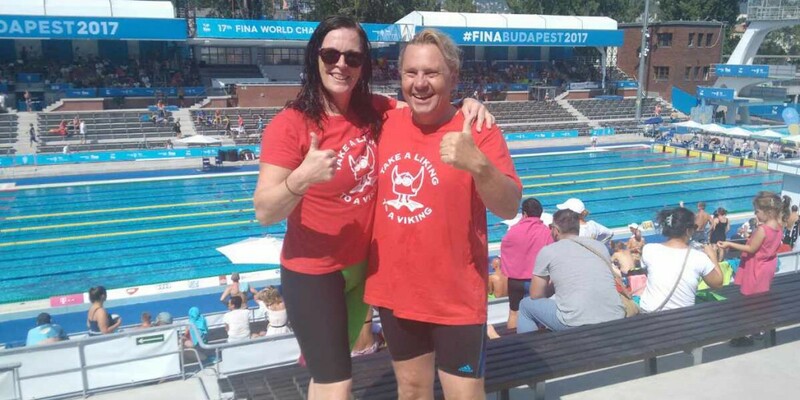 Two of our Vikings crew Caz Makin and Andreas Falkenau headed back to Europe where they originally came from to attend the 17th FINA World Mastes Swimming Championships in Budapest for the swimming events held from 10-20 August 2017! Caz headed off to Lake Balaton first (the largest lake of central Europe, located in central Hungary about 80 km southwest of Budapest) to compete in the 3k Open Water Swim event along with her swimming pal, Sandra Rogers from Seaside Pirates club in Sydney. The venue of the open water event was a lovely town Balatonfüred on the northern shore of the lake. The location was fabulous, and the event was exceptionally well organised, with strict entry and marshalling times within the starting areas at the venue. 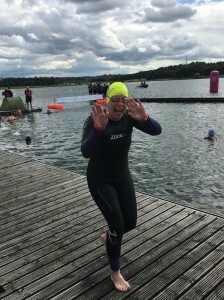 Caz and Sandra both swam on the 2nd day of the three days of the open water swimming competition, which proved to be the most challenging day as far as conditions were concerned! There was a large chop on the lake that day due to windy weather and the 1.8k straight first leg out against the chop to the first buoy meant a very tough first half to the race. Caz placed 23rd from 67 competitors in the F45-49 age group and Sandra placed 11th from 52 competitors in the F50-54 age group. 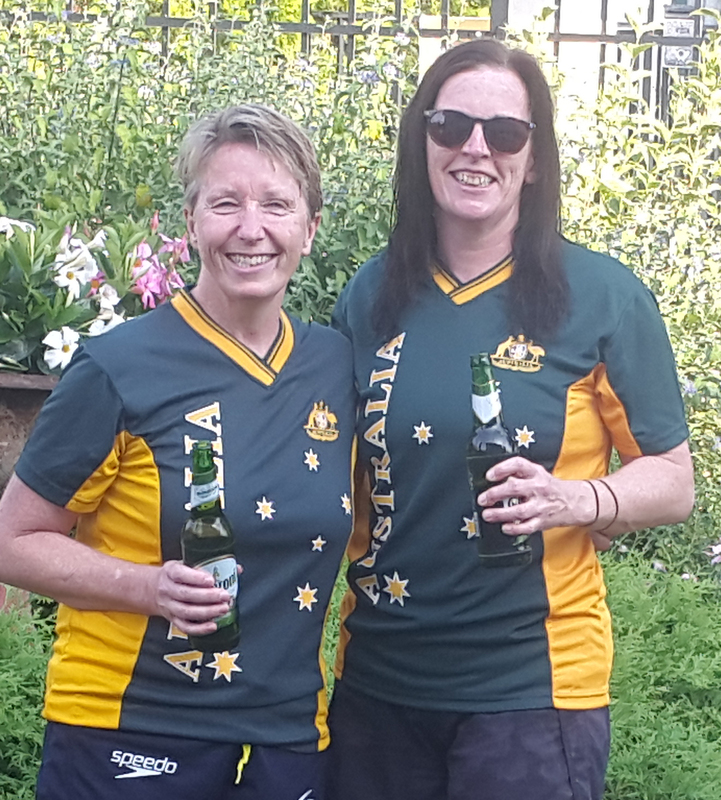 The ladies celebrated in traditional Aussie style with a beer and wearing their Australia shirts! A couple of days later Caz headed up to Budapest city for the start of the pool swimming competition. The pool events took place across four pools in two venues. The main new indoor Duna Arena (which is where the FINA World Elite Championships were held) is truely a state of the art aquatic complex, conforming to the expectations of world championship level. The main ‘A’ Arena pool was a spectacular 10-lane 50m facility and a secondary 8-lane 50m ‘B’ pool was also used for racing. There was also a 50m outdoor pool and a diving pool for warm up facilities. The second venue was the outdoor Margaret Island Hajós Alfréd complex which houses Hungary’s first indoor swimming pool (a lovely 33.3 yard pool built in 1930), a 25m outdoor pool in addition to the two lovely 50m outdoor competition pools (one 10-lane and one 8-lane). The Hajós complex is tremendous and there was an exceptionally good atmosphere there throughout the days of the pool competition. Caz took part in the following pool events over four days of swimming: 800m Freestyle, 100m Freestyle, 400m IM and 200m IM. Caz achieved best rankings in the F45-49 age group of 23rd from 63 in the 800m Freestyle and 34th from 84 in the 100m Freestyle events. Andreas took part in the 200m Backstroke, 200m IM, 100m Butterfly and 200m Butterfly. Andreas achieved best rankings in the M50-54 age group of 37th from 45 in the 100m Butterfly and 23rd from 32 in the 200m Butterfly. Caz and Andreas finally coincided for one event, the 200m IM and were able to get a “team” pic. 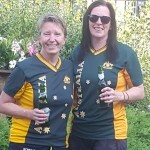 What a fantastic experience for these two Europeans turned Aussie!! 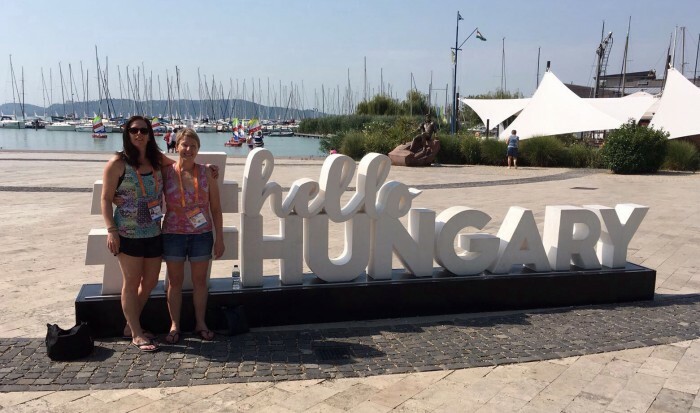 What amazing pools and such a cool city Budapest is … they spent time enjoying the beer too much and a bit of outdoors swimming whilst Canberra was in the middle of winter! Andreas spent time with his daughter over in Europe visiting his home country of Germany as well as the Czech Republic. Caz spent time visiting her family in the UK and also got to catch up with her sister Philippa and the swimmers from the East Leeds Swimming Club whilst she was over in Budapest and spent most of her time hanging out with them and the crew from Seaside Pirates club in Sydney during the days at the pool and in the evenings socialising. 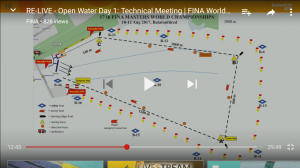 The whole experience of being involved in the World Masters Swimming Championships was fabulous especially to be taking part in such a high-level international swimming event. We received hot news about our Club Captain, Caz Makin, from the UK at the end of July 2017. 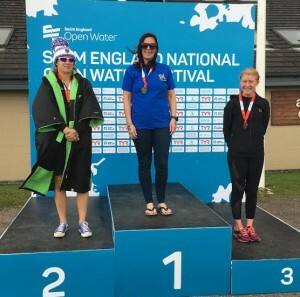 Caz WON her F45-49 age group at the British Masters Swimming Open Water Nationals in Sheffield, England and was 8th fastest overall from 81 Female swimmers. Distance = 3km. Time = 43.29. Achieved in a borrowed wetsuit (which never fit)! 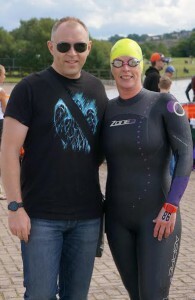 Caz represented East Leeds Swimming Club for the event (the club her sister Philippa swims for in the UK). Her hubby Scott and sister Philippa were there supporting her at the edge of the lake along with some of the other members of East Leeds. Sunday, 4 June 2017 saw the running of the second ACT Interclub Meet for 2017 hosted by Tuggeranong Vikings. As a new swimmer with Tuggeranong and with only a few weeks swim training completed after a 28 year rest phase, Ian found himself quietly thinking ‘what have I done?’ as he drove towards Lakeside Leisure Centre. He need not have worried as the happy greetings from other swimmers quickly identified Masters swimmers as a friendly lot with a welcoming attitude. Invitations for the event were sent far and wide and 46 competitors signed up including 24 Vikings, 15 Water Dragons, 6 Ginninderra Masters and lone entries each from the Novocastrian Novos and Penrith Masters. Masters Swimmers in warmer climes had clearly read the Canberra weather report and couldn’t find enough jumpers in time for the meet. Well done to the hardier souls who attended. After a well organised warm up, timekeepers were called for, the starting gun was tested and the first swimmers were away swimming 100m Backstroke. Anne Smyth, Kylie Lane and Caz Makin showed their Tuggeranong teammates how it was done with some very smooth and fast swimming. 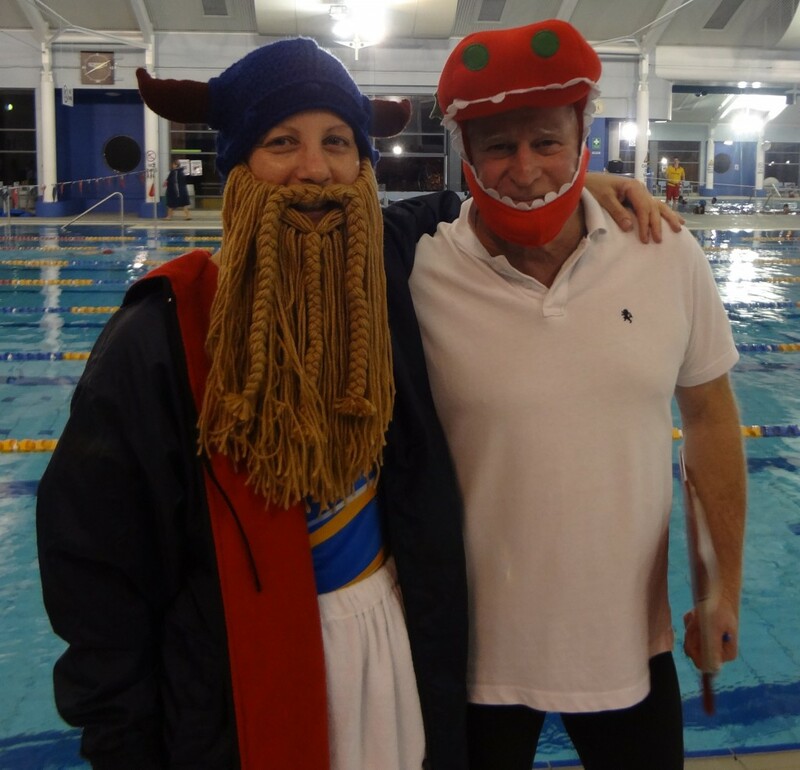 Event 2 was the 50m Butterfly and Ian sheepishly wished he had been brave enough to sign up for it … next time! The 50m Freestyle was next and unsurprisingly was the most popular event. Nick Grinter posted the fastest time of the day for Tuggeranong closely followed by Paul Quinn, with an impressively quick first attempt at 50m Freestyle by Ian Spencer (sorry Ian … editor’s privilege to add this in!!). Event 4 was 100m Breaststroke with nice swims from Donna Campbell, Richard Phillips, Al Byrne and Ian Hampton. Being a Masters event and therefore very civilised, tea and cake were served at the midway point and various awards presented for what can only be described as extraordinary feats of endurance swimming during 2016 – well done to all those swimmers who received their endurance towels. Thank you also to those who provided the plates of delicious food for afternoon tea. The performance enhancing properties of cake and chocolate brownies became obvious in the final events with some fast individual swims and even faster relays. Ian particularly enjoyed the timekeeping for the 200m events, getting to know other club members who were also helping out and watching some very smooth and effortless looking swimming from many Masters. “Masters swimmers are a social and friendly crew, thank you for welcoming me. To anyone hesitant to join because they have not swum for a long while, I would certainly encourage you to just join and start. There is a wide range of abilities and you will be made to feel welcome. Lessons for me from the day were have a go at butterfly, tighten the googles and eat performance enhancing cake. Thank you to all the organisers and officials on the day whose efforts made the day such a success“.